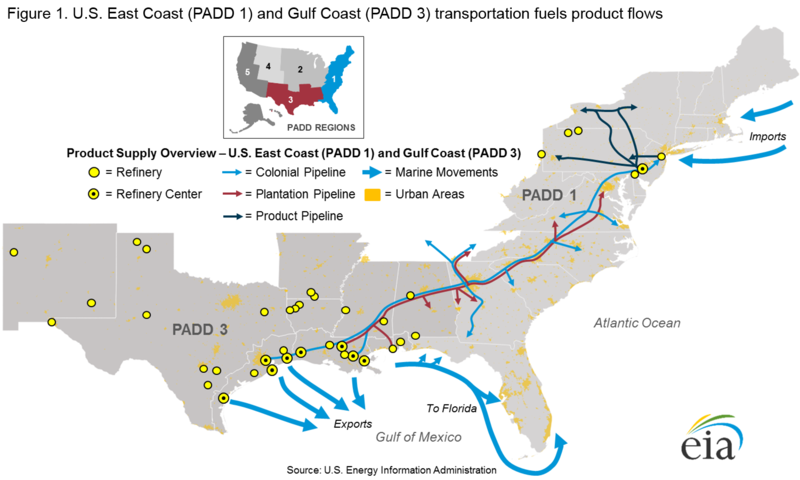 US oil trade policy, Shale oil revolution, oil fund, 2015 Federal Congress resumption approval, Pipeline trade. EIA forecast. shale oil results becomes the considerable quantity more than the domestic demand and, as for the export, is secured a fixed quantity. South America of the former main import followed it, and it was approximately restrictive (around 30% of import-dependence rates), and, as a result, the import decrease from the oil-producing country, dollar return current to the United States began in global crude oil oversupply, reduction of price of the WTI price and before, and the import from Middle Eastern OPEC came to present the influence on various trade problems including the fund withdrawal from oil funds. As for American crude oil, the import and export via the pipeline with the non-production state of states to produce namely state oil trade is more prosperous than the cause, and, for cheaper foreign countries crude oil import competition, the subsidy of the federal government is paid to the stockbroker refinement company in the United States, and domestic industry protectionism is adopted. This subsidy system became the prop of the domestic oil market price and had big significance in the American oil taxation system. Although a small local supplier appeared as new shale oil dealer, in the market price cartel with the measure, I am made to stand in the numerical inferiority, and the market conditions are always unstable, and a shell oil marker as the state business is installed in which WTI and is expected when it is integrated a market. The import of condensate made in the United States begins in 2015 in Japan, and import of the full-scale United States oil is planned, but, with the OPEC policy by the Japanese oil trade, a particularity in the United States exists for the different U.S. crude oil import of the dimension a lot at all conventionally, and various problems will exist in future. After 2012 when full-scale production of Shale oil was started, a domestic industry protection rule for the cheap Middle East oil import competition to the crude oil refinement supplier who was the main production person in charge of the Shale oil in the United States was relaxed in the opening by and, in December, 2015, was decided item federation annual expenditure bill Article 1 (the crude oil export removal of a ban) an assembly (note 2), and the crude oil trade as the new export strategy was started mainly. dollar in the quantity and scale base. The United States produced it as a crude oil import policy, and I let the resource-rich nation attach a market, capital in the Third World where there was many it, and the world oil trade system which unfolded through OPEC as the export cartel built the trade without the product quite equal to at the market size's greatest product and settlement market and a trade credit system. , and grew up in the oil import large country of the world third place, it may be said. and it has been repeated that I fell into a remarkable dollar credit uncertainty. The problem of the dollar return current in the United States by the raise in recent QE (dollar quantitative restraint relaxation) and interest rate of America such as Asia currency crisis, the currency sudden fall in the Third World cause it indirectly; of the oil import policy secondary; was influenced. in the trade, a drop of the dollar hegemony as the settlement money, a participation drop in the international trade system and lowering of consciousness of the free trade leadership as import consumers. Now that I reverse myself, and production of own country shale oil volume is included for a steady growth stage, and constant directionality came to be seen in the country supply and demand system, a pivot leg slants toward an oil export strategy and will greatly touch a spring to the own country market protection for supply strategies and the future policy U-turn including blocking it to add export competitiveness. In my manuscript paper, "Japanese energy resources trade policy," I discussed conventional American oil trade policy and the Japanese oil import policy for it throughout. It is in a world's largest crude oil producer, and, in this report, a world crude oil maximum import country tries to lecture on (policy turning point) to the world's largest crude oil export country about the influence and a Japanese crude oil import policy about the possibility that it can be in the future as an opportunity in a big epoch of this American crude oil trade policy of 2015.
. In state business, as for crude oil, the business of oil products, it was for pipeline transportation trade placed approximately from 60s through 70s, and the network connection with the main line pipeline carried out the work that was important in State of non-oil production and an axis of the oil business to bind a harbor and State of the tanker deployment inland together again to bind State of oil production together. It was old Standard Oil, Exxon others, an American oil major mainly I embodied these network economy and economy of a scale and the speed by pipeline transportation, and to have been in charge, and, from the constant scale that pipeline placement and the transportation on the United States scale were accomplished, the United States profit as the federation was given priority to, and the free trade system with the monopolistic capital including the NAFTA trade agreement that I brought further foreign countries development, the OPEC formation and Mexico, Venezuela, an oil-producing country such as Canada into has been pushed forward. On the other hand, a small and medium size small-scale supplier including EOG which aspects are different, and the recent Shale oil revolution depends on non-pipeline transportation, an oil transport car, a railroad for mainly, is made. and "choice of the polar regions". ③ Because sale oil is light quality oil, and Canada occupying most of the crude oil import by an FTA trade agreement in America, NAFTA domestic production crude oil including Venezuela are heavy, there are not the overlap as the trading article, interest opposition and, as complementary goods, living apart is possible and, in the oil manufacture, can adjust it in a trade market. ⑤ The American new administration enhances production and an export point of own country crude oil, and a second base XL pipeline setting plan surfaces for the alternative example item, and the infrastructure investment that foresaw shale oil increase in production is expected. I determine as placed above, the shale oil, and it is cheap, and I am not exported, and crude oil export trade is performed policymaking of after adjustment with the state business after price adjustment in the United States by balance and taking into consideration of the connotation (state business in the federation: a market conditions marker in the United States) profit and external capsule (the federal trade that is foreign trade: an international market conditions marker) profit. The economy of the pipe line network by the state business achieved economy of scale and I took profit into consideration for state business as federal business and I was superior and contributed to development of the foreign trade. The crude oil export resumption approval (2015) has big significance in this sense. By shale oil revolution, the United States has the main factor in oil trade as one possibility in the country and lowers foreign countries dependence, and it will be done pricing (note 8) mainly by a country standard in the United States when the unification of the refinement supplier does the setting (WTI (United States index) adopts it partly at this stage) of the shake oil marker again will adopt a policy making price dominance. four salt dome. Emergency private enterprise releases this long-term storage crude oil United States Department of Energy. I oblige it to storage in private enterprise, 2 people of the government and, in IEA, do a share for an emergency for 90 days, but, in our country, hardly achieve it. The nonprofit foundation Japan Petroleum Institute "PETROTEC" Vol.40 2017 P42 Inst. of Energy Economics, Japan Awake Segno "crude oil export of United States removal of a ban"
There is the inside and outside the country trade transaction connection method that the economic rationality of the transaction including UCC (American general Commercial Code) is ratified in a state law, and was adopted as the federal law in the United States, but the benefit and protection of the law of the state is given priority to, and regulation is hung for the business such as farm and marine industries, a mineral by a state law. A system to receive an import subsidy as safeguarding to avoid competing inferior level. In WTO agreement, world duty treaty WCO, I appeal for system abolition as a special tariff.
) for profit pressure of the domestic stock. Because shale oil price consists of the market conditions that I surpassed a comparative advantage, and を was 1BBL= an average of 5 dollars before the oil crisis, it is reported that it is considerably expensive. On the other hand, shale oil digging cost becomes the prop of the price and has the possibility to do price hike pointed out in the long term. Ishi Yutaro "Wedge Infinity" 2016.Jun where "the forward business futures fall down if goods crude oil remains because entry crude oil competes with WTI crude oil produced by the conventional oil field of the middle western district, and goods crude oil price falls down, and the goods fall down." which "does not match international commodities with a price movement of forming North Sea crude oil and Dubai crude oil because a value moves by the circumstances that it in the United States is local"
"The United States increases Cher oil in a new digging technology such as the water pressure crush methods very much, and a good chance to sign a bill because is approached by the closedown of the government office if a crude oil export removal of a ban bill goes along the assembly if expressed it when veto it, and a provisional budget only expires, and the Obama Administration may show a stronger criticism to the government outruns Saudi Arabia in 2014 world's largest oil-producing country and it was, and, on the other hand, grow country stock the gas price in the United States largely fall is Nihon Keizai Shimbun 2015/12/17 where some said for the export removal of a ban from the industry." ", P74 Ichiro Maeda interview. shale oil results becomes the considerable quantity more than the domestic demand and, as for the export, is secured a fixed quantity. South America of the main import followed it and the import from Middle Eastern OPEC became approximately restrictive and, as a result, the import decrease from the oil-producing country, dollar return current to the United States began in global crude oil oversupply, reduction of price of the WTI price and before and came to present various trade problems including the capital withdrawal from oil funds. As for American crude oil, a state to produce, the pipeline import/export with the non-production state, state trade were more prosperous than the cause, and, for cheap foreign countries crude oil import, a federal government subsidy was paid to the stockbroker refinement company in the United States, and domestic industry protectionism was adopted. This subsidy system became the prop of the oil market price and had big significance in the American oil taxation system. The American measure is made to stand in the numerical inferiority in the market price cartel with the measure without having hegemony in the United States where I was not able to expect the profit of although a small-scale stockbroker supplier appeared as new shale oil dealer, and the market conditions are always unstable and are expected when they trace the way of the oligopoly with which the measure. The import of condensate made in the United States originates in Japan from 2015, and import of the full-scale American oil is planned, but, with the OPEC policy by the Japanese oil trade, a particularity in the United States exists for the different U.S. crude oil import of the dimension a lot at all conventionally, and various problems will exist in future.